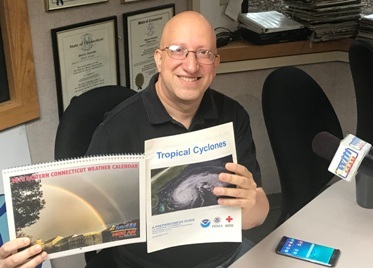 Rob Macedo, KD1CY was featured in a radio interview on radio station WILI AM 1400 in Willamantic, Connecticut on June 15. Macedo spoke on severe weather and the importance of trained SKYWARN observers. KD1CY is an Assistant Section Emergency Coordinator for Eastern Massachusetts and SKYWARN Coordinator for the National Weather Service office in Norton.